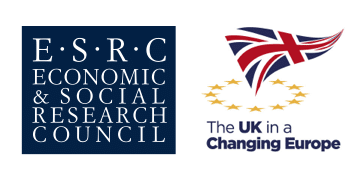 This one-day conference from BrexitLawNI and the Equality Coalition will examine the risks of hardened entitlement boundaries between different groups of citizens in post-Brexit Northern Ireland. 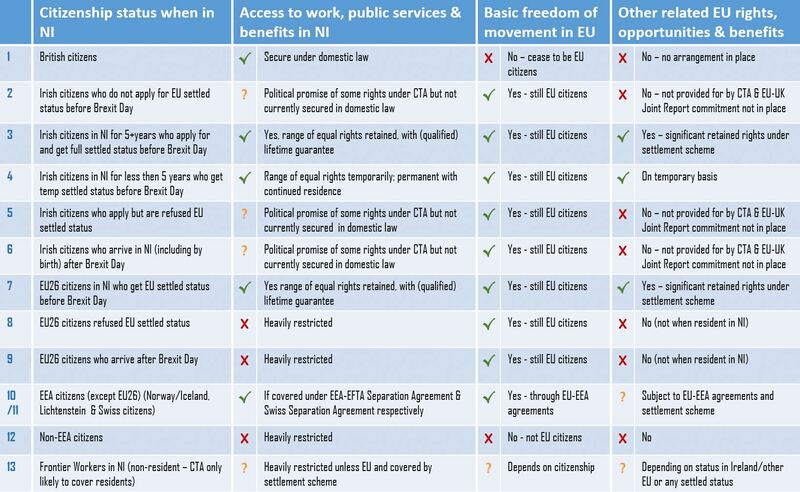 The existing paradigm of two main citizenship categories (EU and non-EU) will be expanded to include many more sub-divisions should the current Brexit proposals proceed (as is shown in this convenient table). Topics explored at the conference will include: entitlements differentials, citizenship status and rights, racial profiling, compliance with the Belfast/Good Friday Agreement, ‘hostile environment’ measures, the scope of the ‘Common Travel Area’, and the retained EU citizens’ rights provisions under the EU Settlement Scheme. The conference will include input from a wide range of experts. Chairs and facilitators: Prof Colin Harvey (BrexitLawNI & QUB), Patricia McKeown (Equality Coalition & UNISON), Daniel Holder (Equality Coalition & CAJ), Prof Kieran McEvoy (QUB), Dr Anna Bryson (QUB), Brian Gormally (CAJ). Panel on the implications of Brexit for EU26, EEA and non-EU migrants in NI: Bernadette McAliskey (STEP), Una Boyd (CAJ Immigration Project Coordinator), Nathalie Donnelly (UNISON). Panel on the implications of Brexit for British and Irish citizens in NI: Emma DeSouza (campaigner), Jane Morrice (UK member of the EU ESSC Committee), Terry Wright (community unionist), Niall Murphy (solicitor). There will also be a panel of political representatives. The full conference programme is available here. Unfortunately, this event is now at full capacity. To be placed on a waiting list, please email events@caj.org.uk. The Equality Coalition is Co-Convened by CAJ and UNISON. This event is supported by the UNISON Campaign Fund and Queen’s University Belfast.